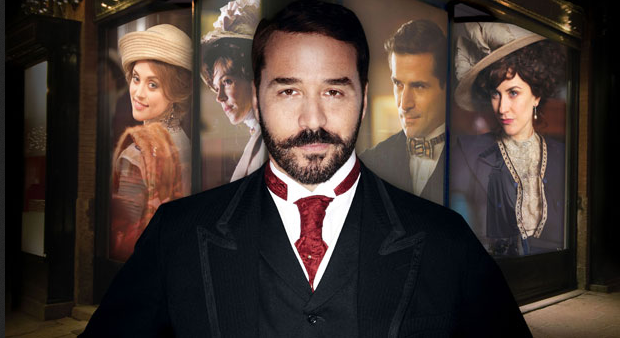 We love that following its ratings success in the U.S., MASTERPIECE and PBS have announced a second season of Mr. Selfridge, starring Jeremy Piven as the flamboyant American entrepreneur who founded the famous Selfridge’s department store. Season II will air on MASTERPIECE Classic in 2014. The first season of Mr. Selfridge reached nearly 15 million viewers over its eight episodes, with an average viewing audience of 4 million people an episode. An ITV Studios/MASTERPIECE coproduction, the season also had strong online viewing numbers, totaling over 1.1 million views during the season's run. In addition, Mr. Selfridge was recently honored with an Emmy® nomination for Outstanding Music Composition for a Series. We couldn’t get enough of it.